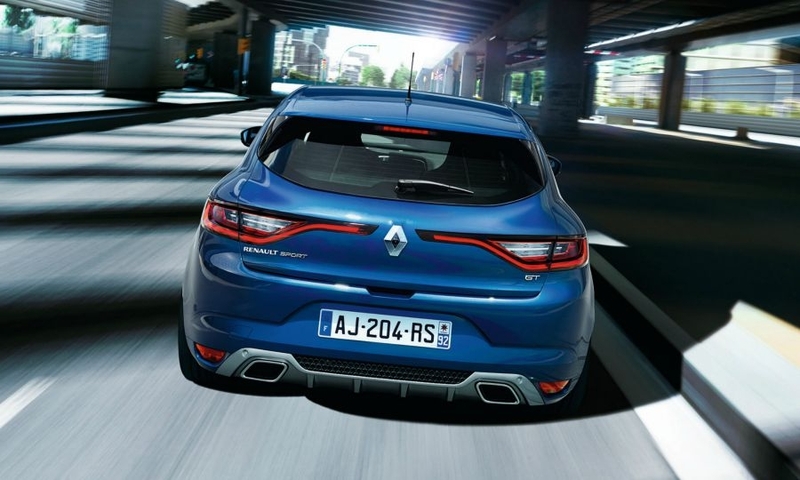 The new Megane has broad, sculpted shoulders with C-shaped headlights whose surround continues into the bumper. 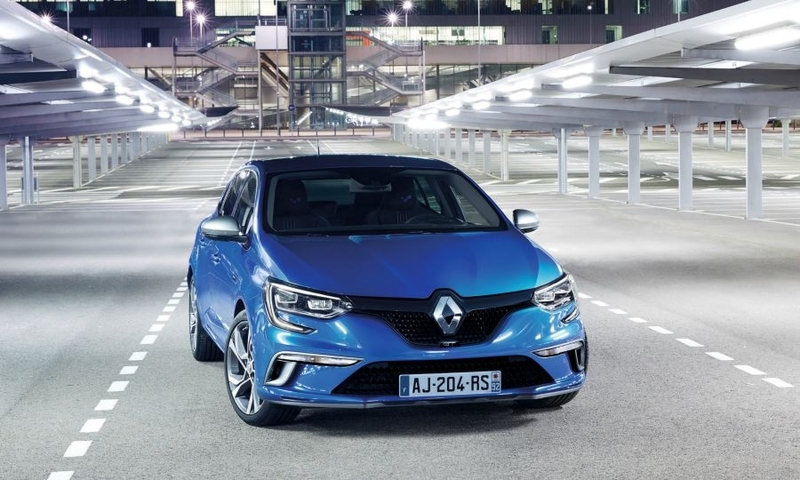 Renault has added upscale features to its new Megane to make the hatchback a better challenger in Europe’s hard-fought compact segment. 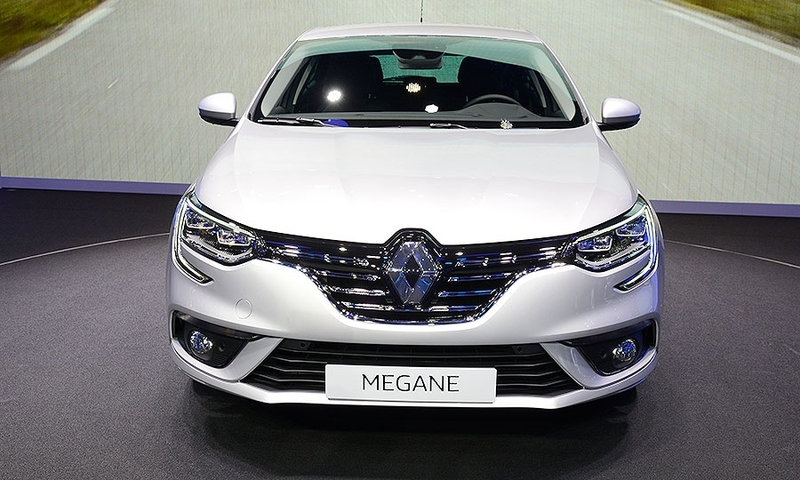 The Megane will offer technology such as four-wheel steering, as well as a color head-up display, 7-inch color instrument display and connectivity via either a 7-inch landscape or 8.7-inch portrait tablet, all of which are segment firsts, according to the automaker. 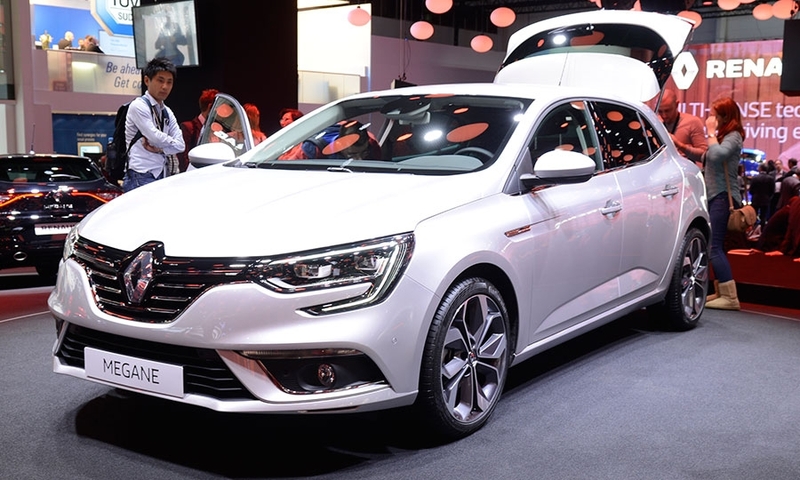 These features are also available on the larger and more expensive new Talisman midsize sedan and Espace large minivan. “The market for compact cars remains huge,” he said. 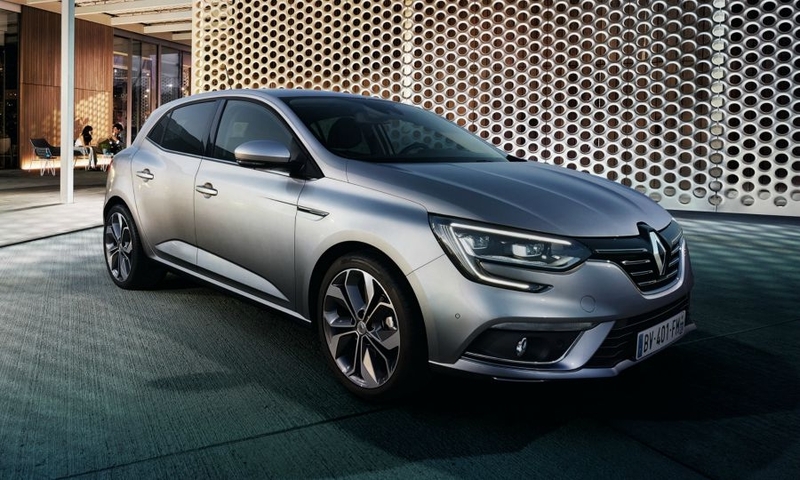 “Our customers are requesting more and more features in compact cars.” The Megane’s cabin has been upgraded with high-quality, soft-touch materials. 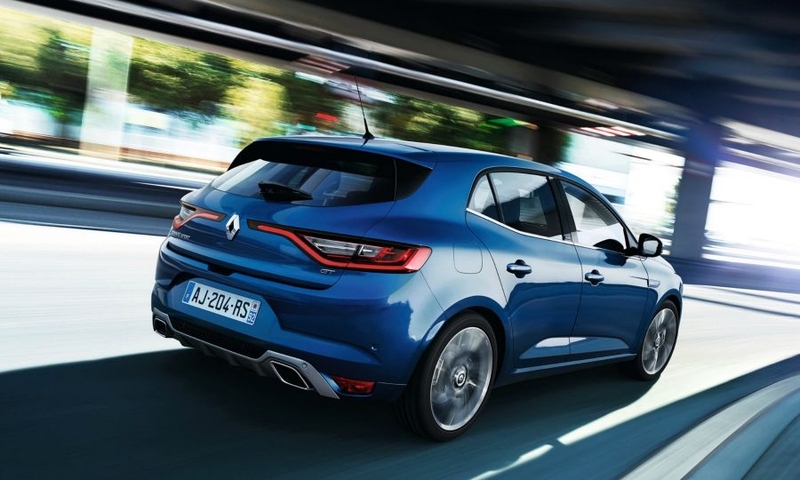 The hatchback is longer and lower to the ground with a shorter rear overhang -- giving it an appearance of greater sportiness and stability. 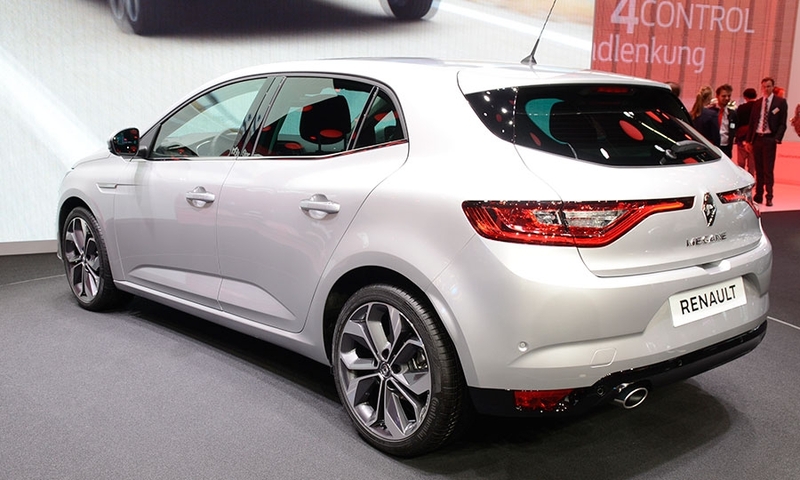 It also has a longer wheelbase that has improved interior space. 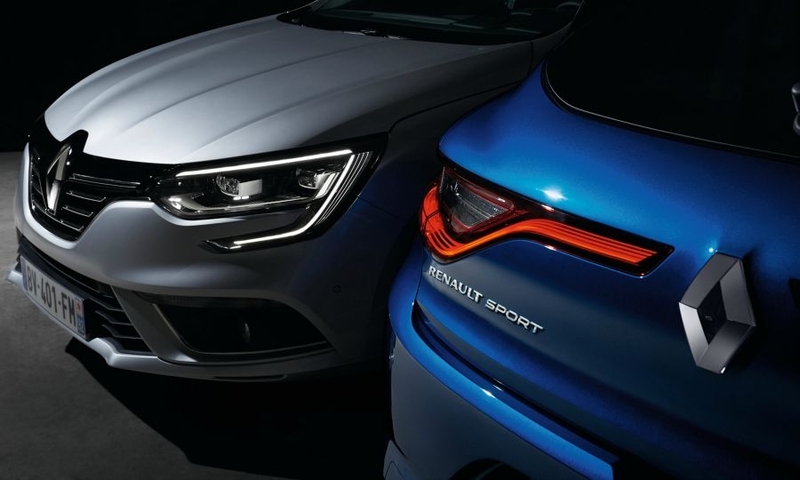 New technology: Four-wheel steering (available only on the GT version) gives greater cornering stability by turning the front and rear wheels in opposite directions at low speeds and in the same direction at higher speeds. 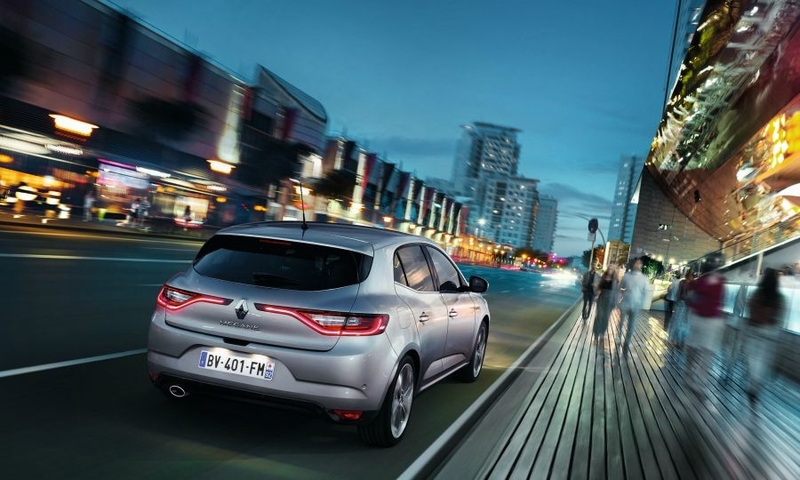 Safety equipment: The Megane offers safety systems such as adaptive cruise control; active emergency braking; lane-departure, blind-spot and safe-distance warnings; plus traffic sign recognition combined with an alert when the car is exceeding the speed limit. 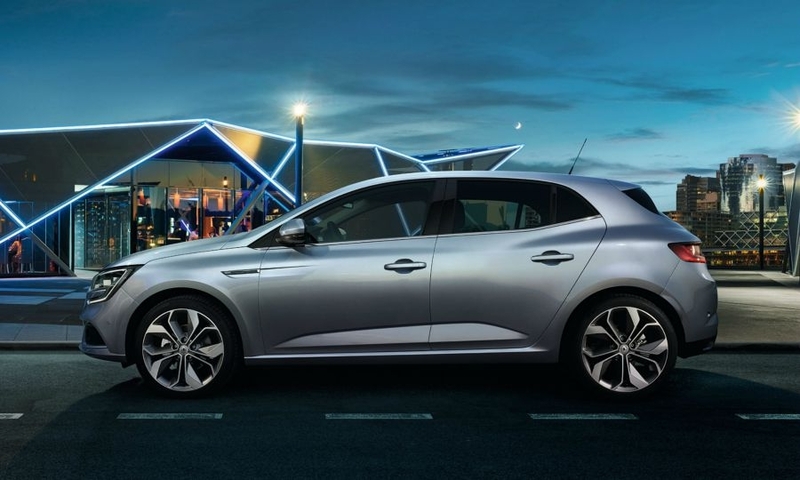 Ride comfort: The Megane has a quieter interior thanks to a stiffer body shell, thicker window glass, improved door seals and greater use of foam and felt in areas where road, wind or powertrain noise could be transmitted into the cabin.